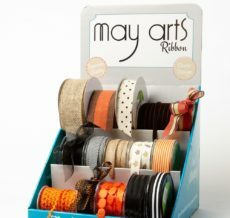 May Arts carries check & plaid ribbons in a wide variety of sizes & color combinations. Perfect for gift wrapping. Working on a scrapbook & craft project? 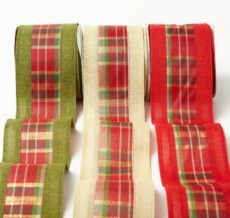 We have woven, satin, & metallic check ribbon. 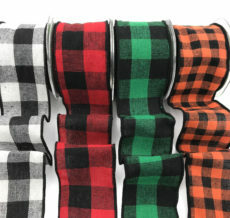 Need a great Christmas plaid for the holidays? We have that too!